Family Science Nights are a unique way to encourage families to investigate, explore and discover together. Designed to provide family learning opportunities and enhance the home/school connection, Family Science Night is the perfect event to meet parent involvement requirements while encouraging and promoting family learning in a fun and unique way. Family Science Night is also a wonderful opportunity for teachers and campus staff to connect with their students’ families in a stress-free, informal environment. A private, two-hour evening event for your campus/district. Family Science Night exclusive shows, activities, and demonstrations. Copies of sign-in sheets for campus/district parent involvement records. *Excluding Education Partner campuses receiving free memberships through the Family Discovery Membership Program. Non-Partner pricing for Family Science Night is based on campus/district enrollment. 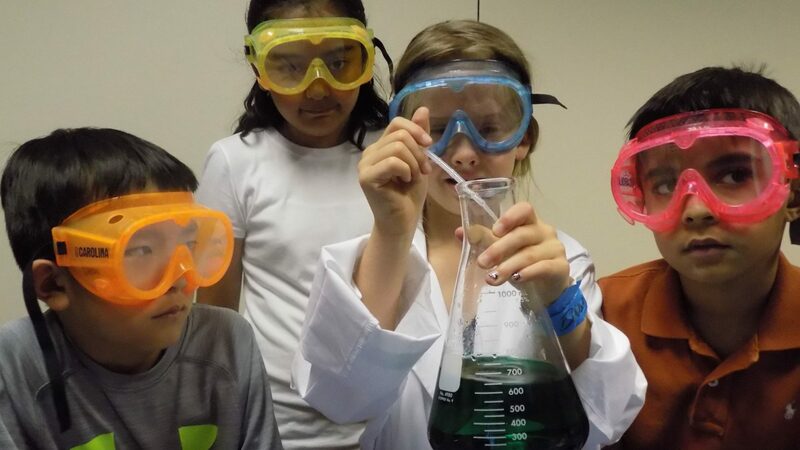 Education Partner Districts receive a FREE Family Science Night as an Education Partner benefit.